A retired priest from St. Anthony's Catholic Church in Sullivan, Mo., has been accused of sexually abusing a child in the late 1970s, the Archdiocese of St. Louis reported Monday. Rev. Dennis B. Zacheis denies the allegations, according to the report. The abuse was alleged to have happened at St. Margaret Mary Alacoque parish in Mehlville, where Zacheis served as an associate pastor from 1975 to 1979, according to the Archdiocese publication St. Louis Review. The Archdiocese gave no details of the accusation and it was unclear whether the accuser had involved police. Zacheis was assigned to St. Anthony's in 2005, after a stormy 17-month assignment at St. Alban Roe in Wildwood, and served there until going on medical leave in 2009. He retired over alleged financial indiscretions while serving as pastor at St. Anthony’s. The Archidocese refunded $60,000 to the church for a budget shortfall. Zacheis spent church money on expenses related to his vacation home at the Lake of the Ozarks, according to an audit. 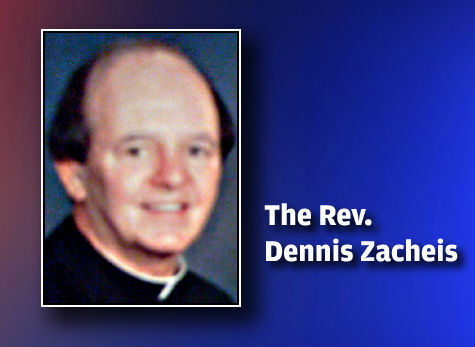 Zacheis' lawyer at the time said the priest denied any wrongdoing. After leaving St. Anthony's, Zacheis lived at an addiction treatment facility in Minnesota, according to the 2010 Post-Dispatch report. He now lives in a private home, according to the Archdiocese. Anyone with questions is asked to contact Sandra Price, executive director of the Archdiocese Office of Child and Youth Protection at 314-792-7271 or sandraprice@archstl.org.